We're building a new house in my hometown Irosin in the Province of Sorsogon. My mother's old house was destroyed two months ago, during the onslaught of Typhoon Nona . As described by my sister, the house being built by my brother looks like a resort cottage or cabana. I can already imagine how cozy the cottage like house would be. My niece recently visited the folks back home but forgot to bring a camera so she can take photos of the house. Speaking of cottages, as summer approaches I dream of spending time with my family in one of the beautiful beaches in Sorsogon. To give you ideas about my Top 5 Beaches and Resorts in Sorsogon, I compiled them as a reference and also a part of my bucket list. 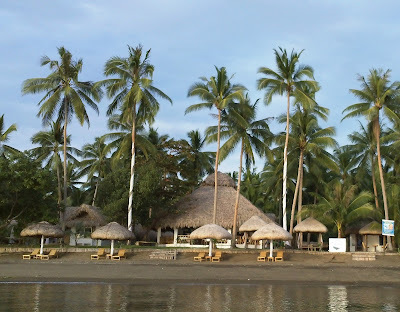 Vito's Subic Beach Resort is located in Subic Daco, Barangay Calintaan, Matnog, Sorsogon. I'd like to bring my family there to experience its pinkish white sand and crystal clear water. Create memories in a tropical playground with a close encounter with one of the largest, gentle sea creatures - the whale whark. 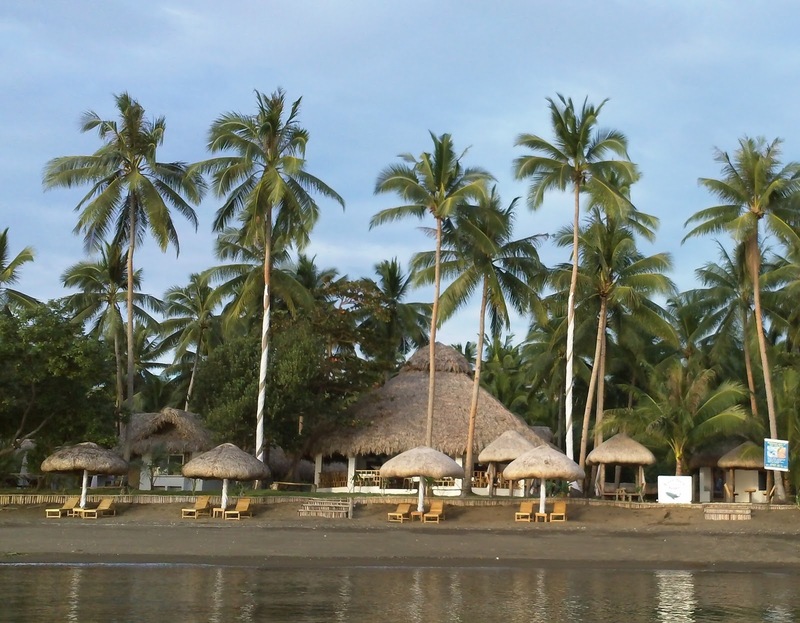 Elysia Beach Resort is an ideal place to stay in Donsol. The Municipality of Irosin is known for its relaxing hot springs. Nature Hot Spring Resort is located in Monbon, Irosin, Sorsogon. 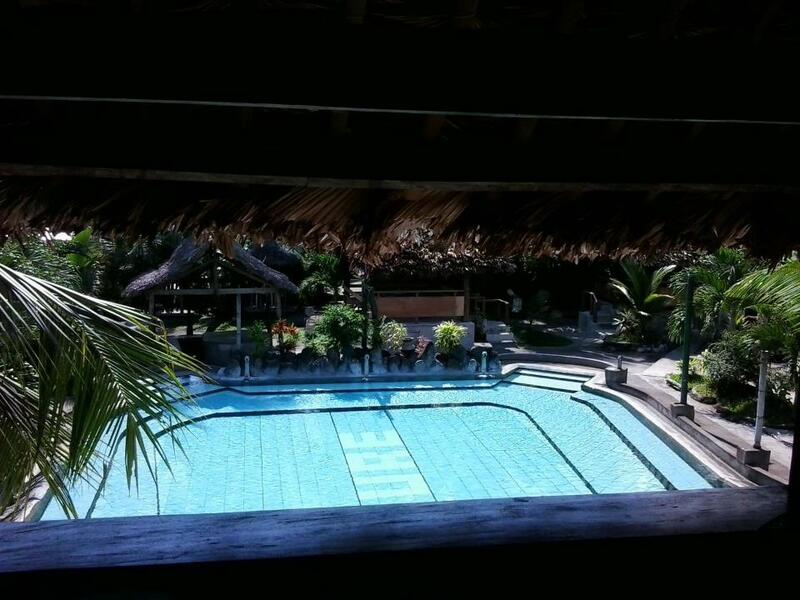 I have visited this resort once in April 2010. This resort, by the way is owned by one of my relatives (from father side). 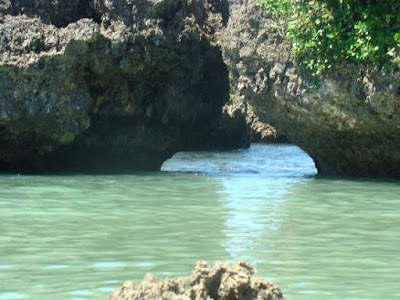 Those rock formations shown in the photo above look amazing, right? Experience the breathtaking view of pinkish white sand, pristine water, and fascinating lagoon of Paguriran Island which is less than a hour drive from Sorsogon City. This beach resort is located near my hometown but I haven't got the chance to go there when I was still staying in Irosin. 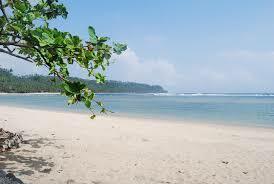 Looking forward for a beach experience in Dancalan on my next vacation.